Hurricanes can cause a lot of damage to anything that isn’t protected, especially massive storms such as the most recent Hurricanes, Irma and Harvey. While many South Floridians were lucky enough to have protected places to secure their vehicles, many were not as lucky and were forced to park their vehicles in the least-likely places of getting caught in the crossfire. Although Hurricane Irma did not destroy our home, it did cause a lot of damage to vehicles thanks to its strong winds causing trees to topple and land on vehicles and throwing around random materials and items that could cause smaller damages to vehicle parts, like mufflers. Mufflers 4 Less of Hollywood, FL is known to be one of the best places to have work done on your muffler in South Florida. They are experts in repairing mufflers for less cost than many other muffler shops in the area. The specialists at Mufflers 4 Less have seen all kinds of damaged mufflers and have been able to repair 99.9% of services the same day the damaged vehicle is brought into their shop. A damaged muffler can cause a lot of issues for your vehicles, such as engine misfiring, loud exhaust, highly concentrated condensation, and more. Hurricanes can be the indirect cause of muffler issues as broken branches from trees can poke holes and cause exhaust leaks, enough pressure can cause cracks, a concentration of liquid or rainwater can cause rusting, and more. 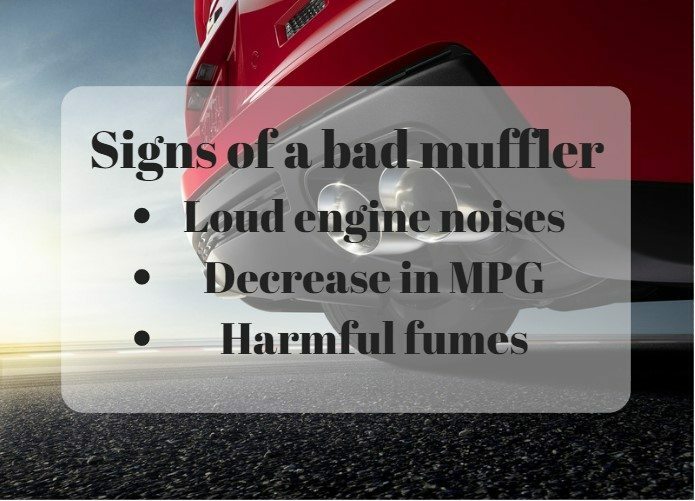 If you’ve recently experienced any of these issues or any other issues relating to your muffler that you believe could be due to the hurricane weather we’ve been experiencing, it may be a good idea to reach out to Mufflers 4 Less and have their professionals take a look for you. As stated above, a faulty muffler can cause serious vehicle issues in a short period of time, so even if you’re simply unsure if there’s a problem with your muffler, call Hollywood’s Mufflers 4 Less and bring in your vehicle for a free computer diagnostic, inspection, and/or estimate so you can relax. Mufflers 4 Less can take care of all kinds of muffler repairs, and there are many signs that your vehicle may be having muffler troubles worth a look from Mufflers 4 Less. Some of the symptoms of defective mufflers include, as listed above, engine misfiring, which is a sign that one of the vehicle systems related to the muffler is in need of a repair, replacement, or adjustment, loud exhaust-related sounds, which is a sign of an exhaust leak in the muffler, and highly concentrated condensation, which leads to rusting of the muffler. If any of these issues are happening with your vehicle, it is time to bring it into Mufflers 4 Less. No matter the cause of your muffler problems, whether it’s from hard-hitting hurricanes or the aftermath of one, call Hollywood’s Mufflers 4 Less at (954) 983-1333 or visit their website at 954mufflers.com to schedule a muffler repair, free computer diagnostic, inspection, and/or estimate. A bit more horsepower. We can’t tell you how many times we’ve heard that very thing at 954Mufflers.com. Customers have been coming to us for over 25 years for custom exhaust systems. Unlike other garages, our technicians think outside the box and solve problems. When a car enthusiast buys a car, they see its potential. The rumble of an engine is a language they understand. However, an interesting fact is drivers rarely, if ever, use the full power potential of their engine. Hence the need for a place like Mufflers4Less. A custom exhaust system can be the solution to unleashing the animal in your engine. At Mufflers4Less, we take the time to put your car on the lift, mock it up, tell you how we’re going to do the job and give you a quote. You don’t go over 30 years in this business and become the most reputed, highly-regarded muffler supplier by luck. When it comes to exhaust systems in Hollywood, Florida, we are where the market begins and ends. Quality work at a great price is what we offer to our customers who come from all over South Florida. Car makers tend to use inexpensive parts to build exhaust systems, because of this there is plenty of room for increased torque and horsepower. 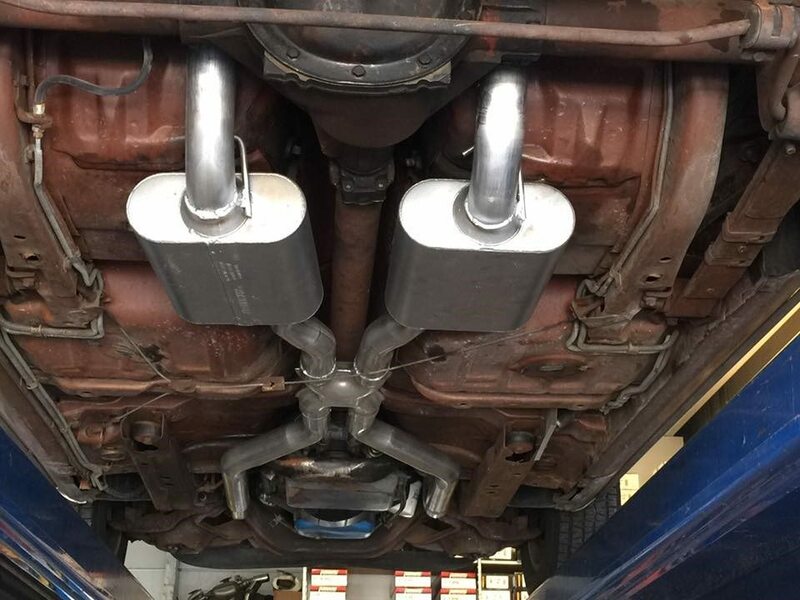 An aftermarket custom exhaust system from Mufflers4Less will not only look great and sound terrific, it will improve your car’s performance. We install systems that create a faster release path for the exhaust gases in your car. It allows your engine to push combustion gasses and air out the cylinder quicker. There are numerous reasons to upgrade to a custom exhaust system. The most popular reason is that it adds an aggressive note to the exhaust. At Mufflers4Less, we aim to keep you informed about every detail along the way. For example, high-end aftermarket custom exhausts are made of either stainless steel or aluminized steel. Stainless steel systems last much longer than aluminized steel, but both are upgrades over your factory exhaust systems. It is important to consider how and what you use your car for. Understanding the performance demands of your vehicle can be the answer to what type of aftermarket custom exhaust system you require. Most go for bigger piping, but bigger piping can adversely affect your vehicle’s performance. Come to Mufflers4Less for exhaust systems and get efficient work by the most qualified technicians in the area. We are reputed throughout South Florida for our high-quality workmanship, professionalism, timeliness, and cost. Truck or car, repairs or replacement, our technically proficient team is here to inform and serve you. 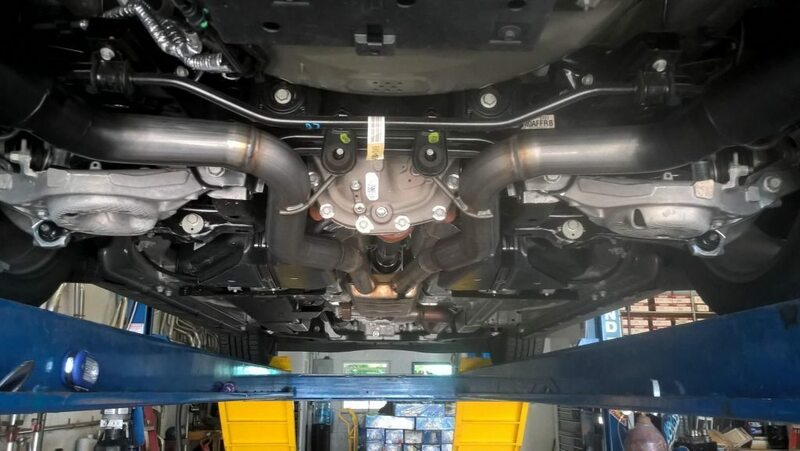 We offer an array of services including free estimates: Performance Exhaust System, Mufflers, Catalytic Converters, Custom Exhaust Tips, Custom Systems, Custom Pipe Bending, Custom Y-pipe, Custom Welding, Header, Manifold, Manifold Catalytic Converters, Flex Pipe, Resonators, Tailpipes, Computer Diagnostic for Converters, Wide variety of Chrome & Burned tips and Hangers. For the best exhaust systems in Hollywood, Florida, call Mufflers4Less at (954) 983-1333. Visit http://954mufflers.com/ or stop by our garage on 5950 Thomas Street, Hollywood, FL 33021. We'll be glad to see you! Fuel efficiency is a key component to keeping any vehicle long term. When buying a car, the cost of fuel per year and gas mileage are things to consider. Many who have owned cars over a long period, never consider improving fuel efficiency with a new exhaust system. Just like those shopping for new or newer used vehicles, and more fuel-efficient driving options, there are fuel efficiency options for long-term cars owners as well. There are many benefits to improving your car’s exhaust. The technicians at Mufflers 4 Less are the leading professionals in car exhaust systems in Hollywood, Florida. In a more environmentally conscious age, they do their part by improving your car’s fuel efficiency system. Factory exhaust systems, those that come standard in mass-produced vehicles, carry restrictive exhausts. They are the exhaust systems that are quieter and are lower cost. Achieving a quieter exhaust system, however, comes at a price. Thus, when a factory exhaust is replaced with a less restricted exhaust, it improves efficiency. These are aftermarket exhausts or “cat-back exhaust system”. The improvement of efficiency or boost in power was always in the exhaust system. A key thing to understand is nothing was added to generate this power. The power generated by the aftermarket muffler, though accomplished via installing a better exhaust was always present. What does fuel efficiency mean? The best way to explain fuel efficiency is by giving an example. The math is rather straightforward. A typical exhaust improves a vehicle’s power output by 2 to 5%. Let us say your vehicle get roughly 16 miles per gallon and by adding a new exhaust system sees a gain in fuel economy of approximately 3%. 3% of 16 miles per gallon equals .48 miles per gallon. If you drive the national average of 15,000 miles per year and the price of gas sits at an even $3, you save about $85 for every 15,000 miles you drive. To state it plainly, a 3% increase of power translates to 3% less fuel used to achieve the same power output. A performance exhaust frees up power from the engine. This creates a more efficient path for the release of gases. The downside, as in most car repair cases, is cost. Mufflers 4 Less, located at 5950 Thomas Street, Hollywood, FL, 33021, offers free computer diagnostics, free exhaust inspection, and a free estimate. Their mission is providing customers with a high-quality service. There is no better option for car exhaust systems in Hollywood, Florida. The benefits of visiting the muffler professionals are twofold. Experience an increase in your car’s performance & fuel efficiency and save money over your ownership/lifetime of the vehicle. Their long list of services and a 99.9% rate of work completed on the same day allows the customer to experience satisfaction through their experience. From performance exhaust systems, mufflers, catalytic converter, manifold catalytic converter, resonators, a wide variety of chrome and burned tips, hangers and more, Mufflers 4 Less possesses the knowledge and experience to get the most out of your exhaust performance. Visit their website for more details http://954mufflers.com/ or call (954) 983-1333. Are you looking for a muffler repair or replacement or are you looking for custom exhaust work that gives your vehicle an edge in both form and function? 954Mufflers.com, Florida’s best muffler store. We specialize in custom exhaust that can help increase the look and performance of your vehicle. At Mufflers 4 Less, our skilled technicians and mechanics have the experience and expertise to provide high-quality muffler repair for fair and affordable prices. We are also committed to providing Hollywood, Florida with friendly customer service and an overall pleasant experience whenever you come in for muffler repair or custom exhaust work. When it comes to vehicle customization or modification, it’s important not to compromise looks for performance. The importance of considering both appearance and function in muffler repair and customization is just as important as any other vehicle upgrade. Your muffler and exhaust system has a big responsibility in your car. It channels the flow of exhaust from your engine, away from the car’s interior. Faulty exhaust systems might leak dangerous gasses into your cabin which can lead to serious health concerns. At best, a bad muffler will cause you to pay more for gas and make your car’s performance suffer. Plus, a car’s underside is often neglected, even though it takes a beating with every bump and object kicked up by your tires. For that reason, it’s important to have an exhaust system that can take a beating. A quality muffler with quality installation can look good and perform well. A skilled custom muffler technician can strike a balance between form and function by providing an attractive muffler that fits the look and vision for your car while also providing an optimal performance. Don’t sacrifice fuel efficiency or engine functionality for looks. Get both at Mufflers 4 Less! The cost of muffler repairs and replacement vary widely between the car’s make and model and how early you catch the problem. If you wait, muffler replacement can cost you more than just the price of the repair. Mufflers do more than just keep your car running quietly. They help route exhaust away from the interior cabin, they improve the function of your engine, ensure that your car’s performance is running at optimal fuel efficiency, and reduce your carbon footprint. If you’re looking for muffler repair in Hollywood, Florida call to schedule an appointment as soon as possible. 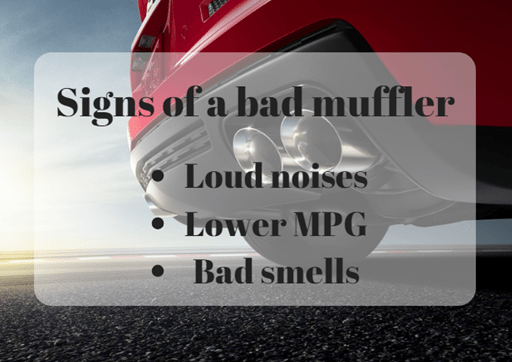 If your car is making more noise than usual, that’s a big red flag for a damaged or worn out muffler. The primary job of a muffler is to decrease the noise your car makes during the exhaust process. If your car is louder or if you hear a sudden rattling noise, it’s time to get your muffler checked and repaired. You can also see most major muffler issues with a visual inspection. Put it up on a jack and check for rust or holes. Also, bear in mind that dripping water is a sign of a muffler issue. Although a little condensation is normal, especially on a typical hot summer day in Hollywood, Florida, excessive leaking is a sure sign of a problem. The number one most serious danger caused by a bad muffler or exhaust system is carbon monoxide poisoning. Since a muffler is designed to direct exhaust away from the car’s cabin, a bad muffler can allow carbon monoxide to leak into the car. If the windows are up, breathing in those fumes can be lethal. They are also odorless and colorless, which means you might not even notice it until you start feeling the effects. 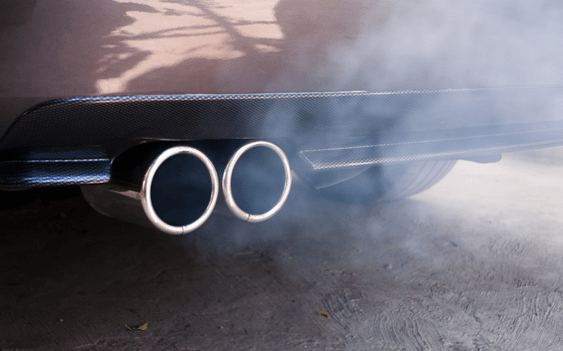 If your muffler is damaged but isn’t sending dangerous fumes into the car, it could still be costing you fuel efficiency and performance. If you need muffler repair in Hollywood, Florida, call for an appointment today. Did you know that a car has over 30,000 parts? And, though every single one of these is important, some are more important than others. The majority of drivers don’t much pay attention to muffler repair; usually, because it’s not a part that needs routine care and attention. The muffler is an essential component that when not taken care of properly, could cause damages to the engine. As of today, the muffler serves two functions. The first, to reduce the noise made by the exhaust system and the second, to help direct exhaust gasses out of the engine. Unlike some components that require constant maintenance, the muffler should be checked every five to seven years depending on where you live. However, just like every other car part, waiting too long may result in high repair bills and may make small problems much bigger. To avoid expensive repairs, pay attention to the following three signs. These will help you decide if you need to visit the nearest muffler repair shop. One of the most obvious signs is a change in the volume of the muffler. Today’s engines are built to have parts that work in conjunction, and when the muffler is working it should run quietly. You can tell that you need to take your vehicle to the shop if that silence turns into persistent roaring. This usually happens when the muffler has some sort of damage, such as a hole. Causing the pre-muffled exhaust to leak and consequently increases the noise of the exhaust system. Damage to the muffler can impact your vehicle’s performance overall. An exhaust system that is taken care of and is well tuned has several benefits. Among these is better fuel range. If you notice that you are pumping gas more often, it is best that you take your vehicle for maintenance. More gas is a basic indicator that something might be wrong. Monitoring your vehicle’s performance may help you catch problems and solve them before they get too serious. This last sign might end up being the most dangerous of all three. Usually, a tuned muffler pushes exhaust fumes away from the vehicle. If you notice a different smell, make sure that you take your car to the shop. Often times, these fumes are harmful and can be fatal over time. Overall, if you cannot see, hear or smell anything, odds are that your exhaust system is working fine. Otherwise, visit your local muffler repair shop. Mufflers 4 Less Hollywood has trained technicians that will guide you every step of the way. Remember that waiting and disregarding these warning signs can lead to high repair charges and time without your vehicle. If you live in or near Hollywood, Florida, consider visiting Mufflers 4 Less Hollywood. Our experts will explain exactly what is wrong and will only repair what needs to done. Unlike other auto shops, Mufflers 4 Less is a shop that you can trust and always provides a variety of brands at affordable prices.